PIRSA:17050000 ( MP4 Medium Res , MP3 , PDF ) Which Format? More than a billion years ago, two black holes collided. In the final second of their long life together, the black holes banged out a rhythm like mallets on a drum, creating gravitational waves – ripples in the shape of spacetime. One hundred years ago, Albert Einstein predicted the existence of such waves, though it seemed improbable – if not outright impossible – that we’d ever be able to actually detect them. They were long considered too faint for any earthbound experiment to measure. Undaunted, experimentalists were determined to measure these Lilliputian ripples, and after many decades of work and collaboration, they built LIGO – the Laser Interferometer Gravitational-Wave Observatory. This incredible sophisticated and sensitive instrument was made to listen for the beat of that distant drum. In 2015, a billion years after the two black holes collided, their waves rippled through the LIGO detectors in Louisiana and Washington. With these remarkable new observatories, we can now capture the soundtrack to accompany the silent movie of the history of our universe. During her live public lecture webcast at Perimeter Institute on May 3, 2017, Janna Levin of Columbia University will explain LIGO's “discovery of the century” and what it means for the future of science. Ya, so it was a good laugh for April 1. This was in May of 2013. Yaron Herman plays piano jazz that is utterly unique. He learned to play based on a method using math and philosophy. Bijan Chemirani, French-born percussionist, was initiated into the art of Iranian percussion by his father, Djamchid Chemirani, at an early age and has acquired enormous experience in adapting his playing style to other genres of music. Here they perform together for the first time at TEDxCERN. Published on Oct 19, 2012 The Kitchener-Waterloo Symphony and the Institute for Quantum Computing teamed up on Sept. 29, 2012, to present an innovative musical experiment called "Quantum: Music at the Frontier of Science." The concert served as the the grand finale of the grand opening celebrations of the Mike & Ophelia Lazaridis Quantum-Nano Centre at the University of Waterloo. Through narration, an eclectic musical programme, live narration and "sound experiments," the concert explored the surprisingly parallel paths followed by quantum science and orchestral music over the past century. The concert was created over the period of a year through meetings and brainstorming sessions between KW Symphony Music Director Edwin Outwater and researchers from the Institute for Quantum Computing. The heart-shaped vibrations for the star KIC12253350. The search for distant planets starts with the vibrations of their stars, and in those vibrations lies a kind of music. How would you map this above? Here's the thing for those blog followers who are interested in the application of sound as a visual representation of an external world of senses. In this example I’m going to map speed to the pitch of the note, length/postion to the duration of the note and number of turns/legs/puffs to the loudness of the note.See: How to make sound out of anything. I have my reasons for looking at the trail that began with Gravitational wave research and development. If we are accustom to seeing and concreting all that reality has for us, can a question be raised in mind with how one has been shocked by an anomaly? I am not asking for anyone to abandon their views on the science of, just respect that while not following the rules of science here as to my motivational underpinnings, I have asked if science can see gravity in ways that have not be thought of before. This is not to counter anything that has been done before. The historic approach to Gravitational Research was important as well, to trace it back to it's beginning. Can we use such measures to exemplify an understanding of the world we live according to a qualitative approach? This has occupied my thoughts back to when I first blogged about JosephWeber in 2005. Here is a 2000 article linked. See previous entries on "Weber Bar" by typing in Search Feature on side bar. See also below. A NASA spacecraft has recorded eerie-sounding radio emissions coming from our own planet. These beautiful "songs of Earth" could, ironically, be responsible for the proliferation of deadly electrons in the Van Allen Belts. EARTH: If you're squeamish, you may not want to listen to the strange whistle of ultra-cold liquid helium-3 that changes volume relative to the North Pole and Earth's rotation. Dr. Subodh Patil is a cosmologist at CERN and is the inspiration partner for Bill Fontana, 2012-2013 Prix Ars Electronica Collide@CERN winner, during his residency at CERN. Bill began his 3-month residency at CERN at an event called "The Universe of Sound" on July 4th, 2013, in the CERN Globe of Science & Innovation. In this excerpt from this event, Dr. Patil explains the parallels between physics, cosmology, sound, and music. Bill Fontana is a renowned American sound sculptor who studied with John Cage and is the 2012-2013 Prix Ars Electronica Collide@CERN winner. He began his 2-month residency at CERN with an event entitled "The Universe of Sound" on 4 July 2013, in the CERN Globe of Science & Innovation, from which this excerpt was taken. Guided by his mantra, "All sound is music," Fontana gives samples of his previous work as well as some hints of what is to come during his residency. Dr. Oliver Gressel is a postdoc at Nordita, the Nordic Institute for Theoretical Physics, in Stockholm Sweden. Here he presents his research in theoretical astrophysics. Perimeter Institute Recorded Seminar Archive (PIRSA). Different oscillation modes penetrate to different depths inside a star. Asteroseismology (from Greek ἀστήρ, astēr, "star"; σεισμός, seismos, "earthquake"; and -λογία, -logia) also known as stellar seismology is the science that studies the internal structure of pulsating stars by the interpretation of their frequency spectra. Different oscillation modes penetrate to different depths inside the star. 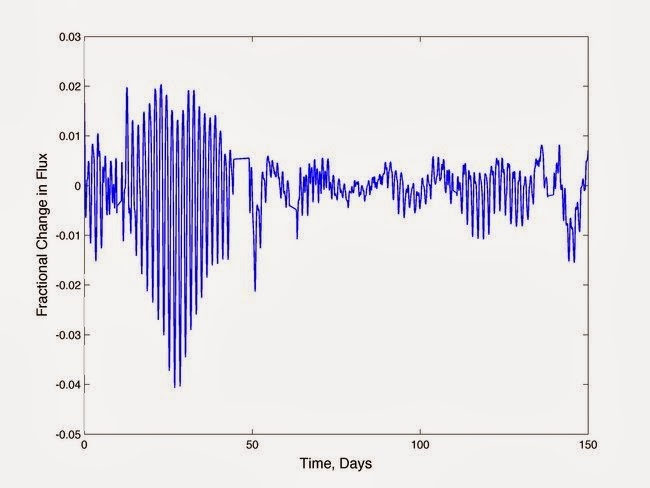 These oscillations provide information about the otherwise unobservable interiors of stars in a manner similar to how seismologists study the interior of Earth and other solid planets through the use of earthquake oscillations. Asteroseismology provides the tool to find the internal structure of stars. The pulsation frequencies give the information about the density profile of the region where the waves originate and travel. The spectrum gives the information about its chemical constituents. Both can be used to give information about the internal structure. Astroseismology effectively turns tiny variations in the star's light into sounds. The oscillations studied by asteroseismologists are driven by thermal energy converted into kinetic energy of pulsation. This process is similar to what goes on with any heat engine, in which heat is absorbed in the high temperature phase of oscillation and emitted when the temperature is low. 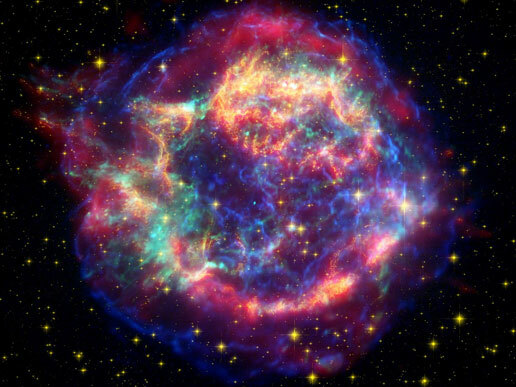 The main mechanism for stars is the net conversion of radiation energy into pulsational energy in the surface layers of some classes of stars. The resulting oscillations are usually studied under the assumption that they are small, and that the star is isolated and spherically symmetric. In binary star systems, stellar tides can also have a significant influence on the star's oscillations. One application of asteroseismology is neutron stars, whose inner structure cannot be directly observed, but may be possible to infer through studies of neutron-star oscillations. p-mode: Acoustic or pressure (p) modes, driven by internal pressure fluctuations within a star; their dynamics being determined by the local speed of sound. 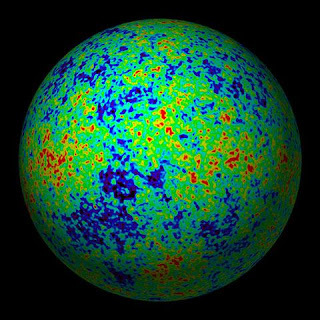 f-mode: Surface gravity (f) modes, akin to ocean waves along the stellar surface. Within a sun-like star, such as Alpha Centauri, the p-modes are the most prominent as the g-modes are essentially confined to the core by the convection zone. However, g-modes have been observed in white dwarf stars. Helioseismology, also known as Solar seismology, is the closely related field of study focused on the Sun. Oscillations in the Sun are excited by convection in its outer layers, and observing solar-like oscillations in other stars is a new and expanding area of asteroseismology. A number of active spacecraft have asteroseismology studies as a significant part of their mission. WIRE – A NASA satellite launched in 1999. A failed infrared telescope now used for asteroseismology. SOHO – A joint ESA / NASA spacecraft launched in 1995 to study the Sun. Kepler – A NASA planet-finder spacecraft launched in 2009 that is currently making asteroseismology studies of over a thousand stars in its field, including the now well-studied subgiant KIC 11026764. Red giants are a later stage of evolution of sun-like stars after the core hydrogen fusion ceases as the fuel runs out. The outer layers of the star expand by about 200 times and the core contracts. However, there are two different stages, first one when there is fusion of hydrogen in a layer outside the core, but none of helium in the core, and then a later stage when the core is hot enough to fuse helium. Previously, these two stages could not be directly distinguished by observing the star's spectrum, and the details of these stages were incompletely understood. With the Kepler mission, asteroseismology of hundreds of relatively nearby red giants enabled these two types of red giant to be distinguished. The hydrogen-shell-burning stars have gravity-mode period spacing mostly ~50 seconds and those that are also burning helium have period spacing ~100 to 300 seconds. It was assumed that, by conservation of angular momentum, the expansion of the outer layers and contraction of the core as the red giant forms would result in the core rotating faster and the outer layers slower. 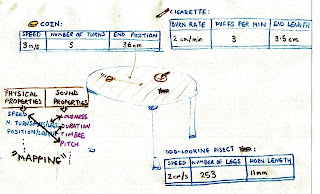 Asteroseismology showed this to indeed be the case with the core rotating at least ten times as fast as the surface. Further asteroseismological observations could help fill in some of the remaining unknown details of star evolution. ^ Ghosh, Pallab (23 October 2008). "Team records 'music' from stars". BBC News. Retrieved 2008-10-24. ^ a b c Guenther, David. "Solar and Stellar Seismology". Saint Mary's University. Retrieved 2008-10-24. ^ Palmer, Jason (20 February 2013). "Exoplanet Kepler 37b is tiniest yet - smaller than Mercury". BBC News. Retrieved 2013-02-20. ^ Unno W, Osaki Y, Ando H, Saio H, Shibahashi H (1989). 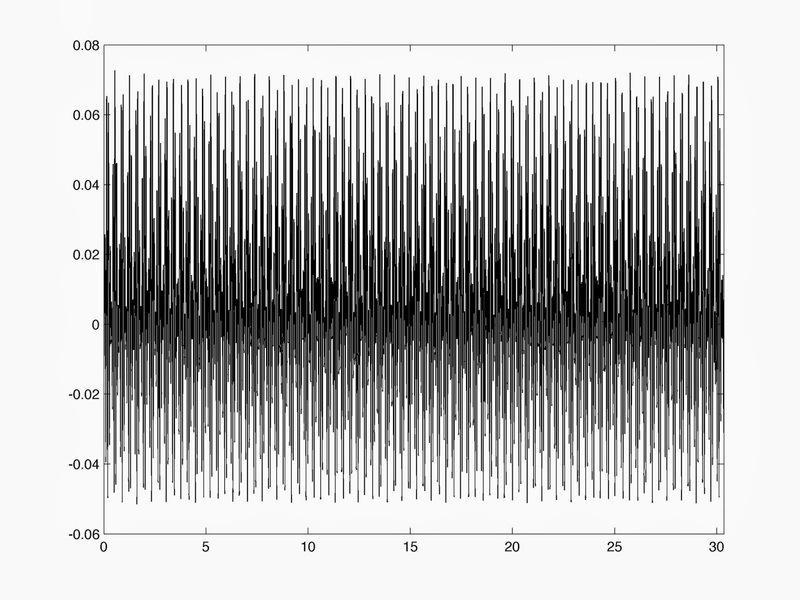 Nonradial Oscillations of Stars (2nd ed.). Tokyo, Japan: University of Tokyo Press. ^ a b Christensen-Dalsgaard, Jørgen (June 2003). "Chapter 1" (PDF). Lecture Notes on Stellar Oscillations (5th ed.). p. 3. Retrieved 2008-10-24. ^ Christensen-Dalsgaard, Jørgen (June 2003). "Chapter 2" (PDF). Lecture Notes on Stellar Oscillations (5th ed.). p. 23. Retrieved 2008-10-24. ^ Metcalfe, T. S.; et al (2010-10-25). "A Precise Asteroseismic Age and Radius for the Evolved Sun-like Star KIC 11026764". The Astrophysical Journal 723 (2): 1583. arXiv:1010.4329. Bibcode:2010ApJ...723.1583M. doi:10.1088/0004-637X/723/2/1583. ^ "Graphics for 2010 Oct 26 webcast – Images from the Kepler Asteroseismology Science Consortium (KASC) webcast of 2010 Oct 26". NASA. 2010-10-26. Retrieved 3 November 2010. ^ Bedding TR, Mosser B, Huber D, Montalbaan J, et al. (Mar 2011). "Gravity modes as a way to distinguish between hydrogen- and helium-burning red giant stars". Nature 471 (7340): 608–611. arXiv:1103.5805. Bibcode:2011Natur.471..608B. doi:10.1038/nature09935. PMID 21455175. ^ Beck, Paul G.; Montalban, Josefina; Kallinger, Thomas; De Ridder, Joris; et al. (Jan 2012). "Fast core rotation in red-giant stars revealed by gravity-dominated mixed modes". Nature 481 (7379): 55–57. arXiv:1112.2825. Bibcode:2012Natur.481...55B. doi:10.1038/nature10612. PMID 22158105. It is interesting to discover a thought process that one can tap into which allows us to think in the way that we do? ;) I'll explain a bit more after you read the quote and link supplied. So the question here of genetics as a foundational basis for which the world takes on new meaning and content, is also to suggest that such an evolution is mind/brain changing. Right? I have to wait until something appears that is missing so as to show that the current developments in our technologies(WMAP) are based on the spectrum of possibilities in the way we dive deeper into the reality. 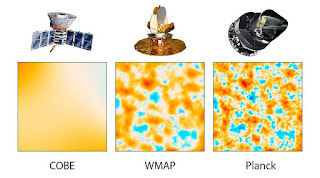 Comparison of CMB results from COBE, WMAP and Planck – March 21, 2013. Cosmologically, it is appealing that we seek to describe the universe optically in so many ways. This allows us to look deeper into the cosmos then we did before. This is a established trade route then with which to accept a sensory derivation of the cosmos. This would have intermingled with the process genetically disposed so as to imbue our sight of. It becomes neurologically appealing as insight is generated? So I am suggesting that such an evolution and development of consciousness would be to accept that the depth of our seeing is to go much further if we penetrate the cosmos in ways that we have not considered before. Examples already in progress are inherent in how we look at our Sun in terms of the Heliophysics that has been established so as to see expected cosmos rays plummeting to earth and spraying our planet. This view already insights a neurological function of space? If you sprinkle fine sand uniformly over a drumhead and then make it vibrate, the grains of sand will collect in characteristic spots and figures, called Chladni patterns. These patterns reveal much information about the size and the shape of the drum and the elasticity of its membrane. In particular, the distribution of spots depends not only on the way the drum vibrated initially but also on the global shape of the drum, because the waves will be reflected differently according to whether the edge of the drumhead is a circle, an ellipse, a square, or some other shape. In cosmology, the early Universe was crossed by real acoustic waves generated soon after Big Bang. 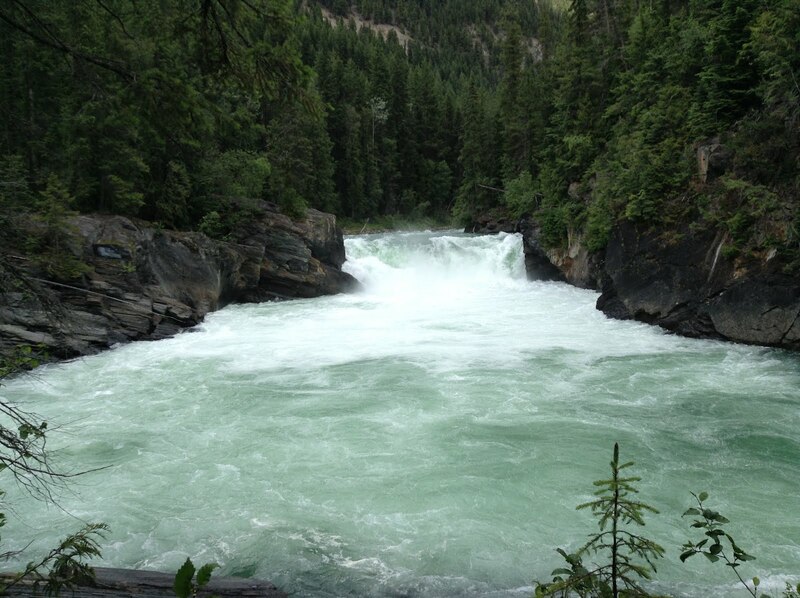 Such vibrations left their imprints 300 000 years later as tiny density fluctuations in the primordial plasma. Hot and cold spots in the present-day 2.7 K CMB radiation reveal those density fluctuations. 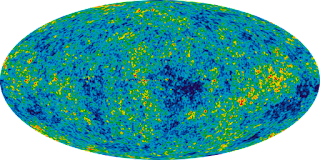 Thus the CMB temperature fluctuations look like Chaldni patterns resulting from a complicated three-dimensional drumhead that. Why might one suggest spectroscopy and it's ramifications? While studying the question of how any of us may exist as emergent beings how might one find them self expressed as matter participants of this reality? What would have began first as to suggest that we used more then the typed neurons(stem cell) to shift the constructive nature of our constitutions as revealed in our DNA structure, as the forms in which we take? So there is already a pattern established in nature that we must look for? What began as the motivation for expression as to insight that such energy is more then, is described as, is a continue change and expression of the evolutionary distribution of what we have become? What was that motivation then? This image depicts the interaction of nine plane waves—expanding sets of ripples, like the waves you would see if you simultaneously dropped nine stones into a still pond. The pattern is called a quasicrystal because it has an ordered structure, but the structure never repeats exactly. The waves produced by dropping four or more stones into a pond always form a quasicrystal. Because of the wavelike properties of matter at subatomic scales, this pattern could also be seen in the waveform that describes the location of an electron. 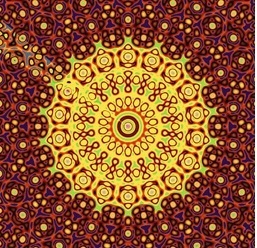 Harvard physicist Eric Heller created this computer rendering and added color to make the pattern’s structure easier to see. See: What Is This? A Psychedelic Place Mat? Sounds and colors are "metered measures?" 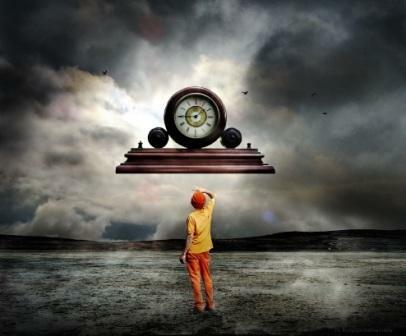 It is something we have designed in order to account for communication of certain facts? While I present some quotations here for consideration, it is also in the quest to understand what illusion and reality can mean when not all parts of the consensus can agree on what constitute what. To “hear” the data we can map physical properties (The Data) to audible properties (The Sound) in pretty much any way we choose. 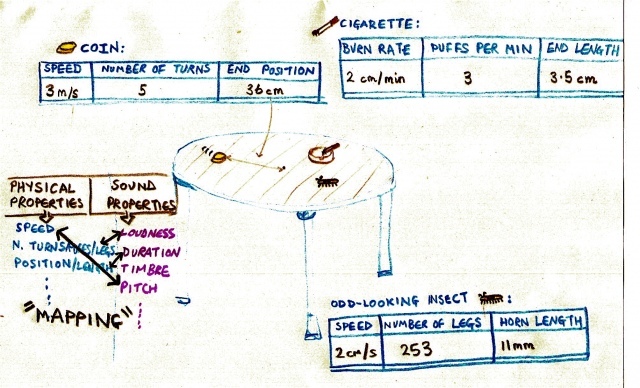 For a physicist, an obvious way to do this might be to map speed to pitch. I think this is obvious for a physicist because both of these things are measured “per second” (pitch or frequency is measured in Hertz, which means vibrations per second). But we don’t have to do the obvious, we can map any physical property to any audible property. In this example I’m going to map speed to the pitch of the note, length/position to the duration of the note and number of turns/legs/puffs to the loudness of the note. Now I have to choose starting positions and ranges. When I do this I have to consider that:How to make sound out of anything. So in a sense we have developed "a method" by which application of color in this case would be used. Is it highly subjective in one's own case without some kind of metered measure and one would have to consider, by which consensus such a model would be applied(production of specific colours chemically induced for instance) to have a desired effect. I give this link above in order to establish that sound can have an architectural correlation in terms of a vibrational signature. Has a qualitative signature of sorts.So for me as I moved ahead in this blog format it was important for me to see how sound can be used. So while one might consider colorimetric space here one might convert such a space to what every point in that space represents in terms of a color? So you devise parameters. Dustin W. Carr, under the direction of Professor Harold G. Craighead, created the nano guitar in the Cornell Nanofabrication Facility in 1997. The idea came about as a fun way to illustrate nanotechnology, and it did capture popular attention. It is disputed as to whether the nano guitar should be classified as a guitar, but it is the common opinion that it is in fact a guitar. Nanotechnology miniaturizes normal objects, in this case a guitar. It can be used to create tiny cameras, scales and listening devices. An example of this is smart dust, which can be either a camera or a listening device smaller than a grain of sand. A nanometer is one-billionth of a meter. For comparison, a human hair is about 200,000 nanometers thick. The nano guitar is about as long as one-twentieth of the diameter of a human hair, 10 micrometers or 10,000 nanometers long. The six strings are 50 nanometers wide each. The entire guitar is the size of an average red blood cell. The guitar is carved from a grain of crystalline silicon by scanning a laser over a film called a 'resist'. This technique is called Electrobeam Lithography. It can be played by tiny lasers in an atomic force microscope, and these act as the pick. The Nano Guitar is 17 octaves higher than a normal guitar. Even if its sound were amplified, it could not be detected by the human ear. The nano guitar illustrates inaudible technology that is not meant for musical entertainment. The application of frequencies generated by nano-objects is called sonification. Such objects can represent numerical data and provide support for information processing activities of many different kinds that producing synthetic non-verbal sounds. Since the manufacture of the nano-guitar, researchers in the lab headed by Dr. Craighead have built even tinier devices. One thought is that they may be useful as tiny scales to measure tinier particles, such as bacteria, which may aid in diagnosis. More recently, physicists at the University of Washington published an article discussing the hope that the technique will be useful to test aspects of what until now has been purely theoretical physics, and they also hope it might have practical applications for sensing conditions at atomic and molecular scales. ^ Barrass S, Kramer G. Using sonification. Multimedia Systems 7:23–31, 1999. Drexler, K. Eric, Nanosystems, Molecular Machinery, Manufacturing and Computation. P. 254-257. John Wiley and Son Inc. Canada. 1992. ISBN 0-471-57518-6. Poncharal et al., Electrostatic Deflections and Electromechanical Resonances of Carbon Nanotubes (GA Tech). Science 283:1513, 1999. Postma et al., Dynamic range of nanotube- and nanowire-based electromechanical Systems (Caltech). Applied Physics Letters 86: 223105, 2005. Lassagne et al., Ultrasensitive Mass Sensing with a Nanotube Electromechanical Resonator (Barcelona, Spain) Nano Letters 8(11):3735–3738, 2008. Cornell University researchers already have been able to detect the mass of a single cell using submicroscopic devices. Now they're zeroing in on viruses. And the scale of their work is becoming so indescribably small that they have moved beyond the prefixes "nano" "pico" and "femto" to "atto." And just in sight is "zepto." Members of the Cornell research group headed by engineering professor Harold Craighead report they have used tiny oscillating cantilevers to detect masses as small as 6 attograms by noting the change an added mass produces in the frequency of vibration.